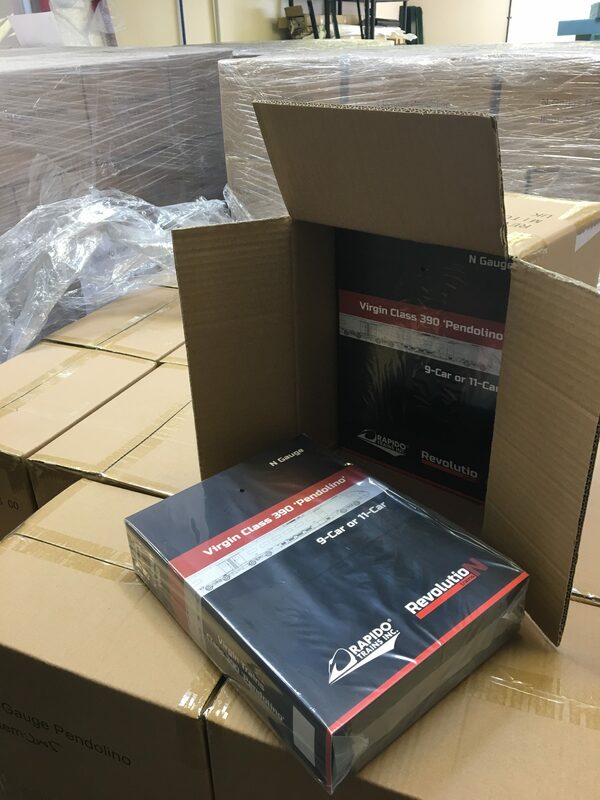 They’re here…well very nearly anyway! 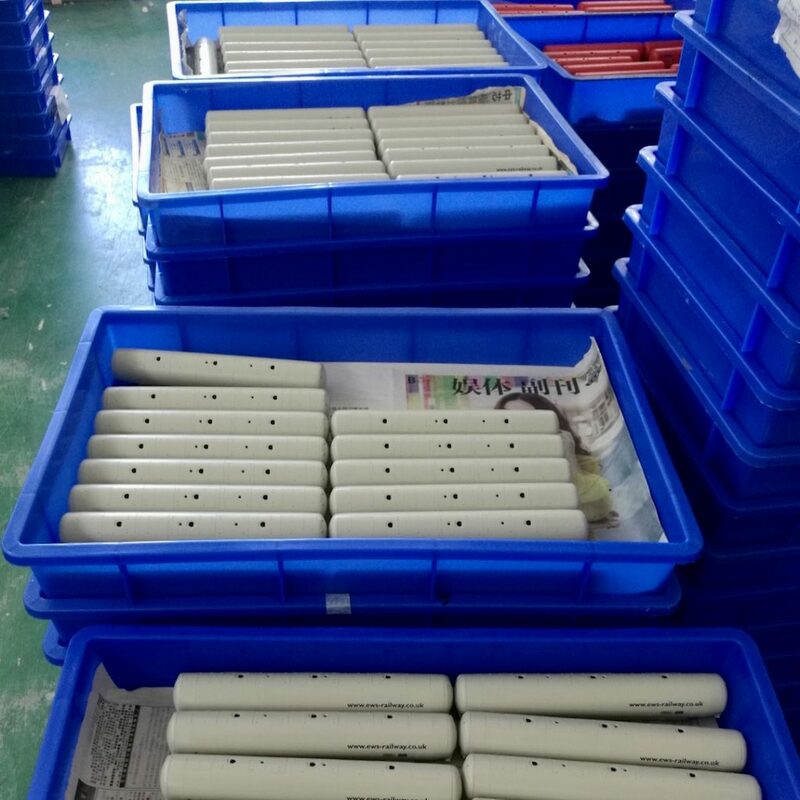 Rapido told us recently that production of our 4mm/OO TEA tanks was complete, so we took the decision to airfreight in the complete consignment of TEA tanks and the models should be with us later this week. As usual, customers who paid in full when they ordered are likely to receive their models first as there is less admin for us. Paid in full: if you have moved over the past couple of years please check that your shipping address (not the address on the order!) is correct on your account on our website. We will start sending out models paid in full over the weekend of 17/18 November. As we pick and pack your order we will update it to the latest shipping address saved on your account. We will send out fully paid orders in order of when we received your order. Once your order has been despatched we will update it to “Completed” status and you should receive it from the Royal Mail a few days later. Paid a deposit: generating all the balance invoices will take us some time (please remember we do this in our spare time! ), however we know that some of wish to get your balance paid as quickly as possible so that you can get your hands on your models! Option 1 – wait for our invoice: please be patient and wait for us to generate your balance invoice(s). The balance invoices will be emailed to you and will include details of how to pay. Once your balance is paid then your order will be placed in our order queue for picking and posting. Option 2 – I would like my order soonest! : if you would rather get your balance paid and your models as quickly as possible then we have a shortcut for you! It means more work/thought for you so if you are not in a hurry or if you are not sure then stick with option 1! Go onto our website and login to your account – check that your shipping address is correct (and update if necessary). Open your order for your TEAs and you will see at the bottom of the deposit order a line saying “Future Payments” – this may or may not include VAT – if it says excludes VAT and you live in the UK or other part of the EU then you must add VAT to the Future Payment amount (ie multiply the future payment amount by 1.2). Go to our website here and enter your balance amount and follow the payment instructions. If you have multiple orders you are welcome to add all the balance together to make one payment. No need to email us to say you have paid – we will match your payment against your order(s) and mark your order(s) as paid (“processing” on our system), then your order will go into our queue for picking and posting. As a check your balance should equal your deposit less the amount of shipping you paid on the deposit. For example, if you paid a £20 deposit and £6 P&P then the balance should be £20. If you are not confident about calculating the correct balance amount then please stick with option 1.
email to change your shipping address – you can do that online on our website! Sorry if this seems unfair, but this is really important as all of these individual emails take time out of us sending out your models! We’ll let everyone know once we’ve done the first pass through the order list – that is the point that we will ask you to send us emails if you haven’t received your order or balance invoice(s). 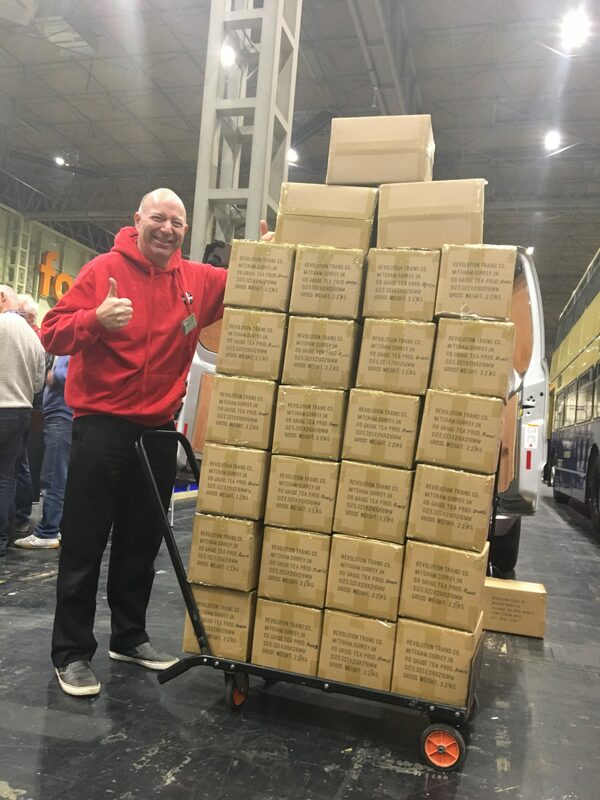 Collection at Warley: for those of you that wish to collect your models at Warley, this will be possible but only by prior arrangement! If you collect your order at Warley we will refund your P&P charge after the show. If you have a balance to pay then it will be possible to pay your balance at the show (your P&P charges will be deducted from your balance when you pay). If you wish to collect your order at Warley please email us by the end of Monday 19 November, preferably with your order number(s). We will confirm by email by Thursday 22 November whether your order will be available for collection. If you haven’t received a confirmation from us by Thursday 22/11 there is no guarantee that we will have your order for collection! 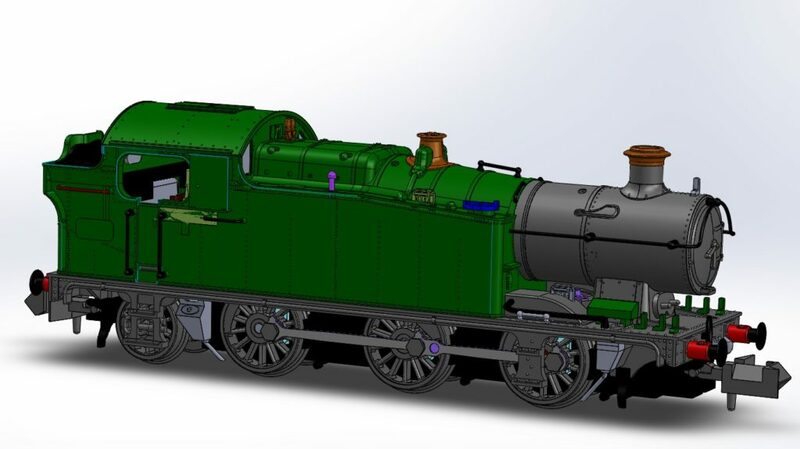 Rapido Trains have sent some images showing progress on our forthcoming TEA tankers in 4mm/00 gauge. 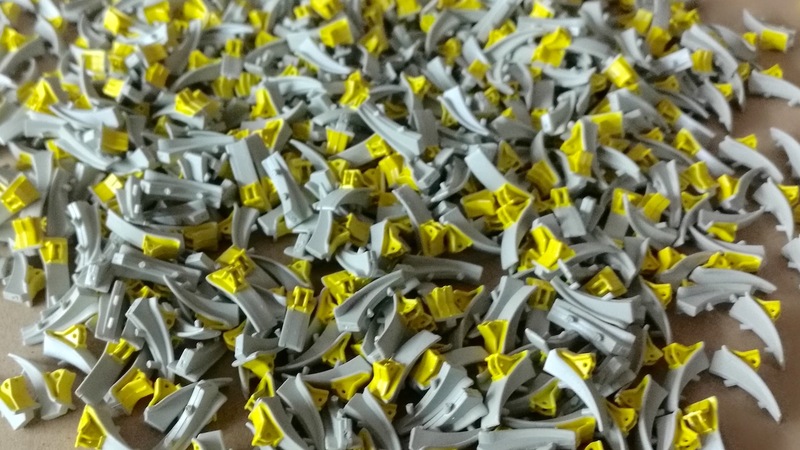 These models are even more detailed than their 2mm counterparts, and painting, printing and assembly has taken one of their two factories several months. The worker on the left is putting brass bearings in the bogie axle rebates for their colleague opposite to insert wheelsets. 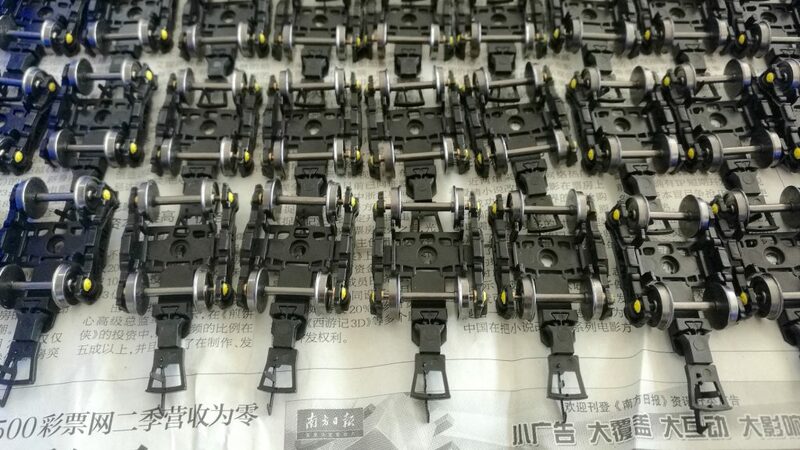 Finished wheelsets, with couplers added too. In some areas the larger 4mm models can have finer detail than is possible in N such as correctly bifurcated lifting brackets. 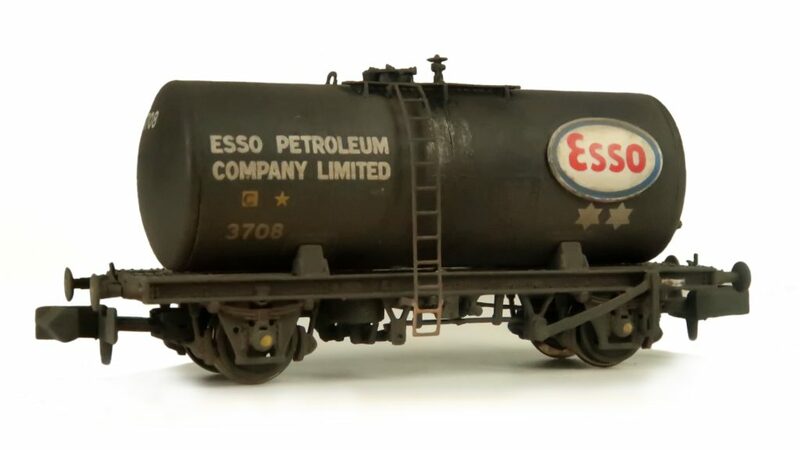 These are painted and awaiting fitting to the EWS tanker bodies in the following image. 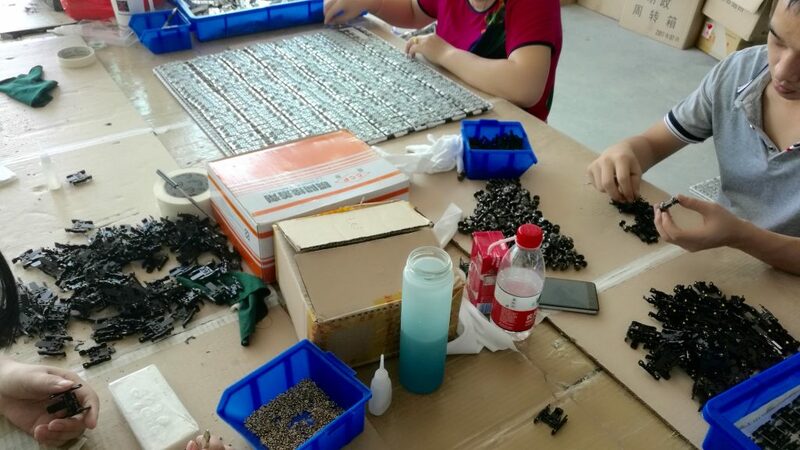 The factory seems to be almost full of blue trays containing tanker bodies ready for final assembly. 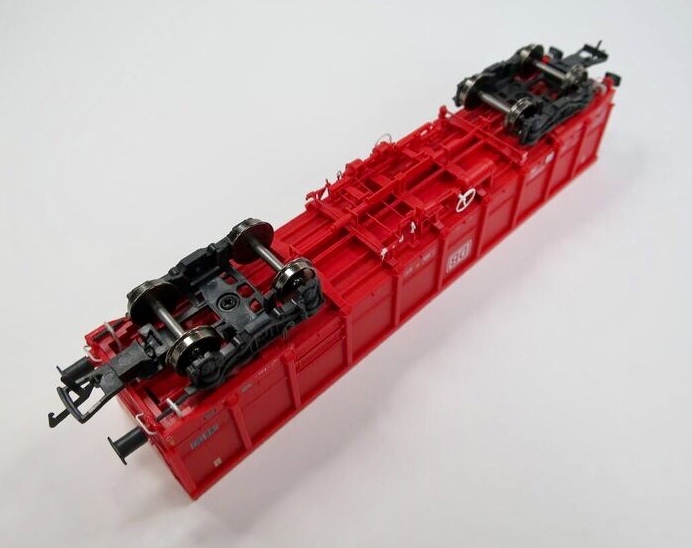 Once the factory has completed these models we understand they will immediately begin production of the KFA container flats in N. As a result we expect to be closing the order book for these soon. 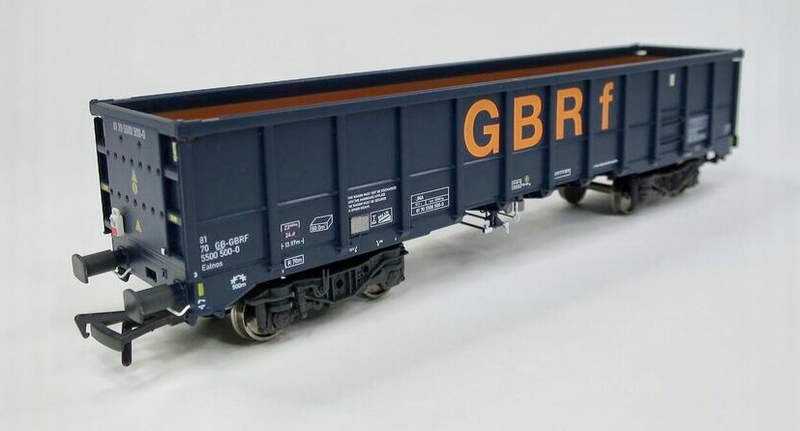 Kernow Model Rail Centre is teaming up with Revolution Trains to offer the long-lived Cargowaggon “twin” ferryvans in 4mm scale/00 gauge. 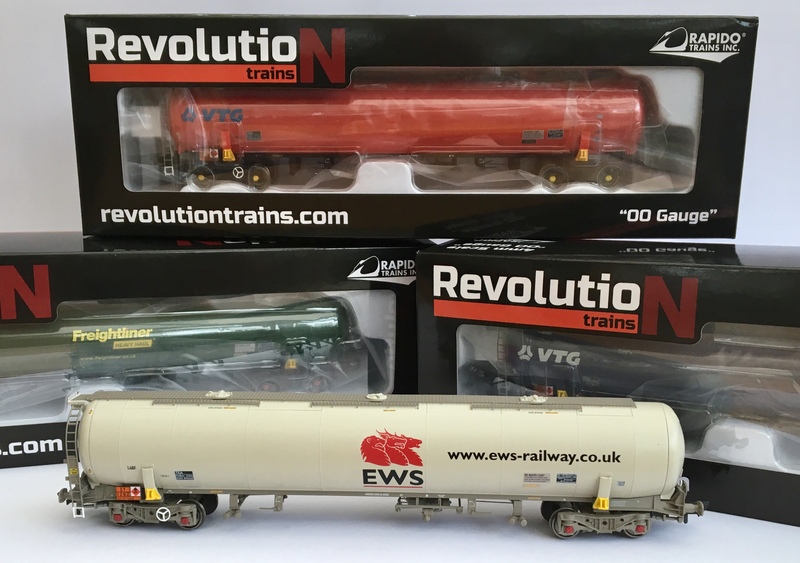 This is in response to the large numbers of 4mm enthusiasts requesting this model following development of its N gauge counterpart, and represents the first fully joint venture between Revolution Trains and a major retailer. As ever the models will feature high levels of detail and a version will be offered with a battery-operated flashing red tail lamp. 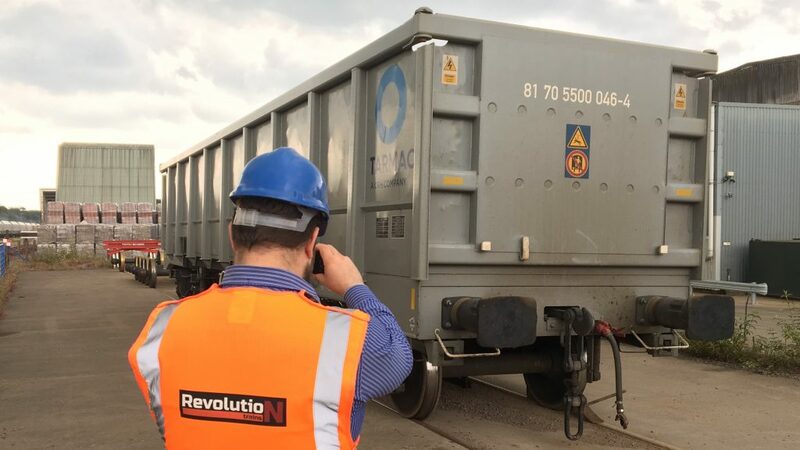 Mike Hale of Revolution Trains said: “In some ways it is surprising this wagon has not been offered in 00 before as it has been so widespread in service and lasted so long. 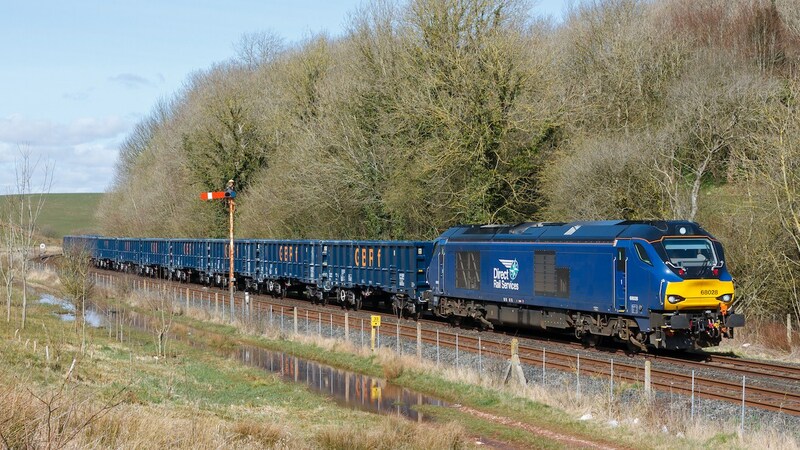 We are looking forward to working with Kernow on this and other projects in the future,” he added. The models will feature NEM couplers on kinematic mounts, RP25 profile wheels and high levels of detail including separately fitted brake parts and handrails. You can see fuller details of the prototype here. 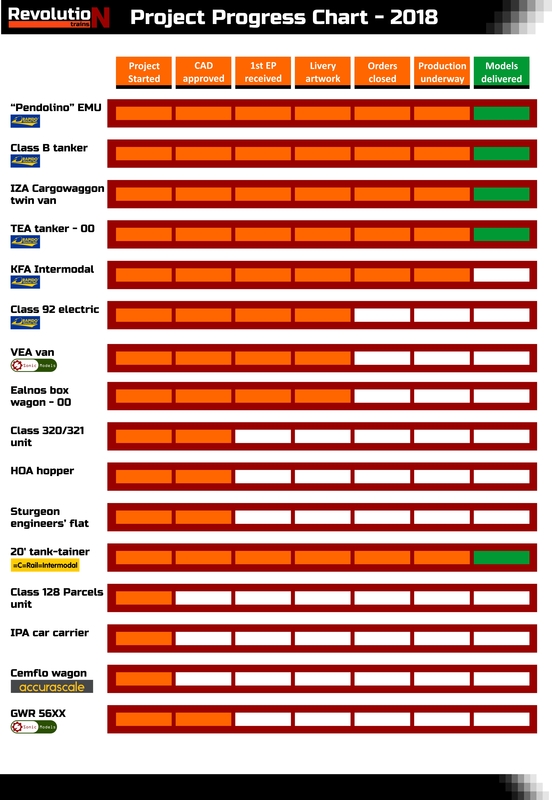 nearly the entire fleet remains in service. 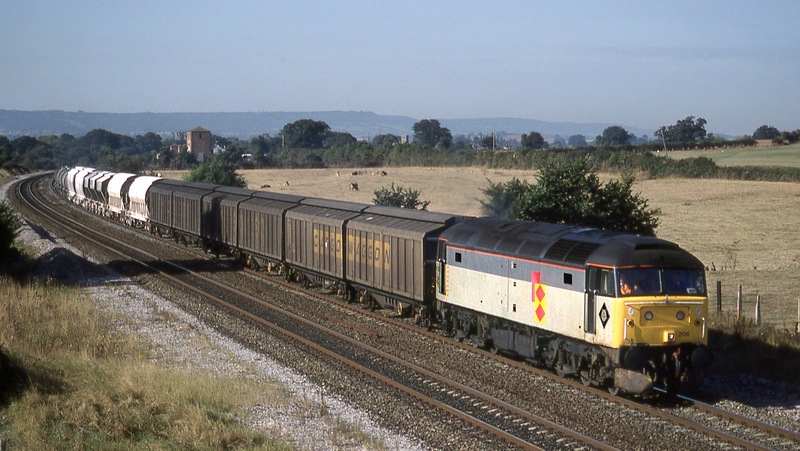 Due to their flexibility the wagons have been used to carry mineral water, newsprint, bagged clay or cement, whisky, cider, petfood and numerous other goods to and from destinations as widespread as Cornwall, the Highlands, North and South Wales and destinations in Southern France and Germany. They can operate in blocks, or in smaller numbers in mixed “Enterprise” trains. 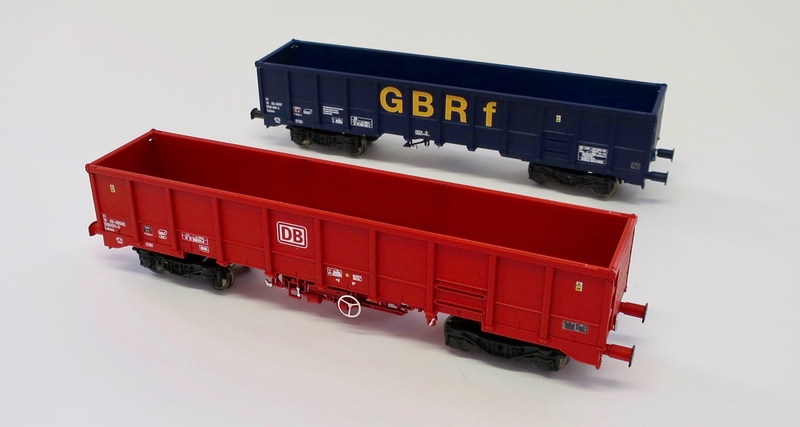 The wagons were delivered in unpainted aluminium with mid-blue solebars and ends. 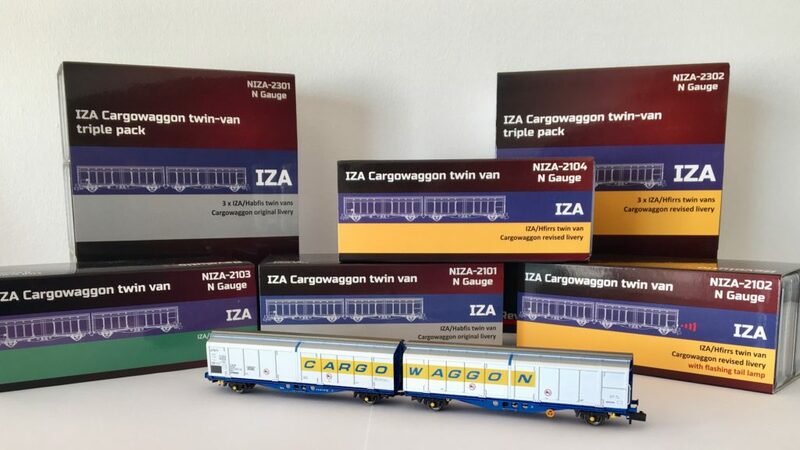 Most carry the words “Cargo Waggon” across the pair, in blue on a yellow background, though three received “Perrier” branding which they still carry today. 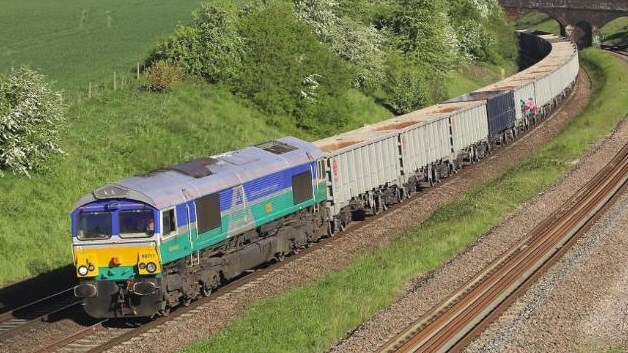 Cargowaggon was later absorbed into GE Rail Services, which has since been acquired by Touax, and the models are being produced with the co-operation of Touax and will be manufactured in China. The above prices will apply once the models are delivered. A discount of £10 per model is applied when paying in advance. 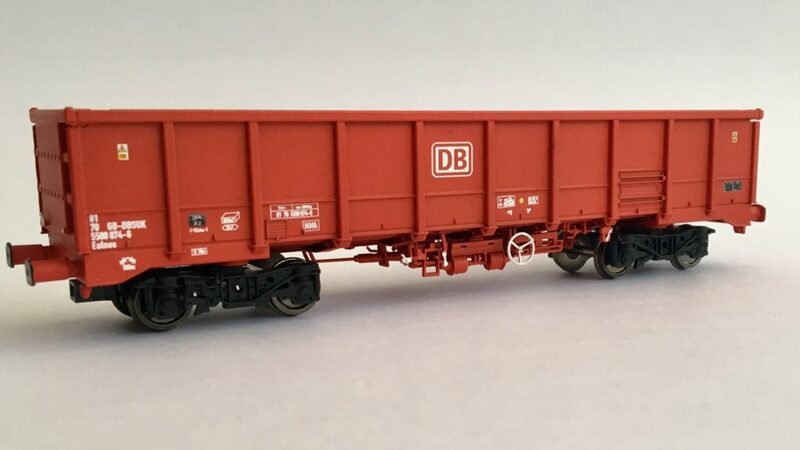 A further discount is available if buying a pack of 4 wagons. 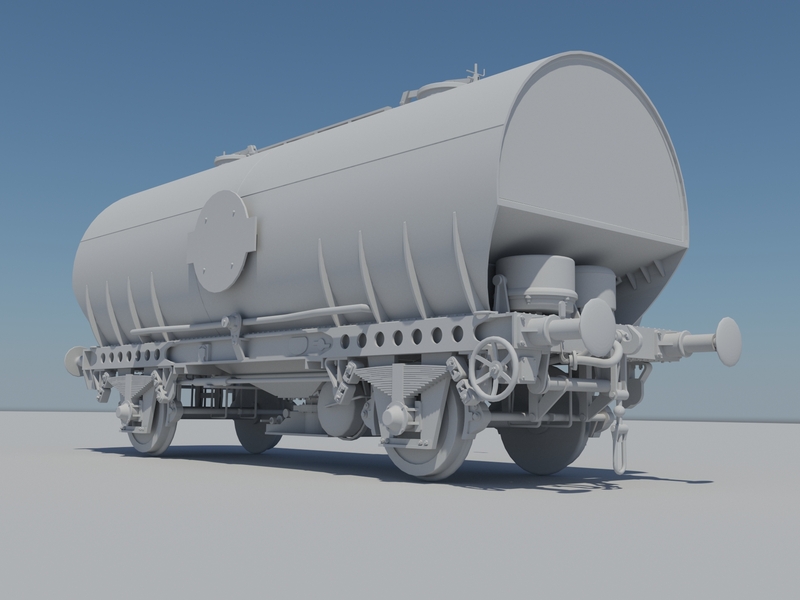 CAD work is complete and the model is expected go into production in mid 2019.